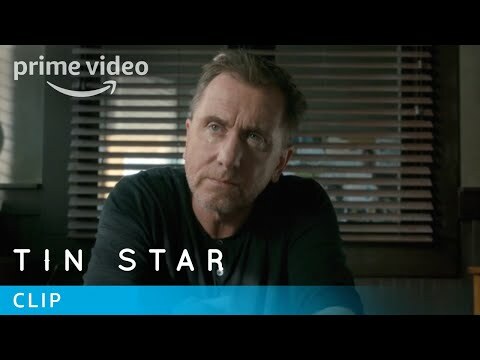 Tin Star (2017) : Série TV de 2 saisons et 20 épisodes diffusée sur Amazon. Casting, acteurs, bandes annonces et actualités. Ancien inspecteur de Scotland Yard, Jim Worth est le nouveau chef de la police d'une petite ville des Rocheuses canadiennes, où il s'est installé avec sa famille pour fuir son passé. La nouvelle raffinerie de pétrole, dirigée par la mystérieuse Mrs. Bradshaw, provoque un afflux de travailleurs et l'apparition de dealers, de proxénètes et du crime organisé. Casting de la série "Tin Star"
S01E01 Fun and (S)laughter 07/09/2017 An alcoholic, small-town police chief has his hopes for a fresh start and a quiet life shattered by unspeakable tragedy. S01E02 The Kid 14/09/2017 Wracked by guilt, Jim attempts to bury his grief by picking the murder case back up, instinctively believing it is connected to his own loss. S01E03 Comfort of Strangers 21/09/2017 Waking up after a blackout, Jim discovers that Anna has disappeared. Meanwhile, Whitey tidies up a loose end. S01E04 Jack 28/09/2017 The Worth family reunite to say goodbye to a loved one. Mrs Bradshaw faces a difficult decision after she learns a damaging story has leaked to the press. S01E05 Bait 05/10/2017 With Jim banished from their home, Angela takes her family's safety into her own hands. Whitey executes a ruthless plan to bring Jim into his sights. S01E06 Cuckoo 12/10/2017 Whitey visits the Worth home to exact revenge, but finds himself on the back foot. Elizabeth confronts Gagnon about his interest in bringing down Jim. S01E07 Exposure 19/10/2017 Whitey and Anna grow closer, as Angela calls on Jack to finish what she asked for. Elizabeth uncovers a dreadful event at a nearby reserve. S01E08 This Be the Verse 26/10/2017 Jack looks to interrogate Frank. Anna tries to escape Little Big Bear. Elizabeth finds a key witness, but Gagnon exploits her weakness. S01E09 Fortunate Boy 02/11/2017 The truth is revealed. Somewhere in the English countryside, Jack Devlin works a case that will have tragic repercussions. S01E10 My Love Is Vengeance 09/11/2017 Leaving a trail of broken promises behind him, Jack sets out to take his revenge, while Angela looks to bring Anna home. S02E01 Prairie Gothic 24/01/2019 Horrified by her actions, Anna decides to flee, and Jack fights back for his family. Meanwhile, Elizabeth Bradshaw attempts to forget her traumatic ordeal, but relief is cut short by the delivery of her letter of termination. S02E02 Something Wicked This Way Comes 31/01/2019 Anna is taken into hospital by Ammonite teenager Rosa Nickel and her mother. Meanwhile, Jim tries to mend the damage Jack has caused, and Angela finds an unlikely ally. S02E03 Resist Not Evil 07/02/2019 Johan finds himself thrown into a crisis, and turns to the Worths for help. Is Jack able to set aside his hatred for him in order to earn forgiveness from his daughter? Meanwhile, Elizabeth and Angela have to deal with some tough questions surrounding the killing of Gagnon. S02E04 Jack and Coke 14/02/2019 The events from the previous episode are revisited from another perspective, as Jack tries to forget his past whilst drinking whisky on the mountainside. Later, he tries to win Angela back, but as they find an unconventional solution to the Jaclyn problem, Elizabeth vanishes. S02E05 Consequences 21/02/2019 Anna enlists the help of her parents to save Pastor Johan and his family. Jack exposes the truth about Johan to the Nickel family, but struggles with his desire to win his daughter's forgiveness. S02E06 The Bagman Cometh 28/02/2019 Jack hunts down the cartel bagman, Estuardo, who is circling the colony, but what he finds is worse than he could have ever imagined. Meanwhile, Denise has some questions for Elizabeth about Jaclyn, and Sarah wants to run, but Johan refuses to go. S02E07 Subterranean Fire 07/03/2019 As Jack and Angela prepare to face the consequences of their actions, a discovery prompts him to formulate a plan. Meanwhile, the Nickels send Rosa away to protect her. S02E08 Wild Flower 14/03/2019 As tensions run high, Jack and Angela are forced to reveal a devastating truth to Anna. Johan and the elders make a decision that will change the Ammonite colony forever. S02E09 The Unseen 21/03/2019 In the final episode, Johan prepares for what is to come, and Jack puts his plan into action as the family's ultimate threat arrives on their doorstep. 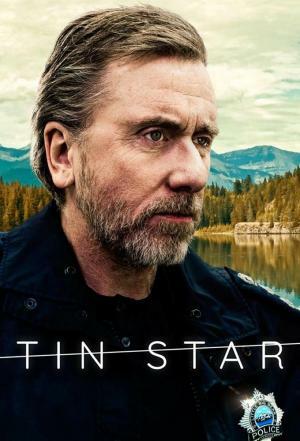 Envie de parler de Tin Star ? Les discussions sont là pour vous. Retrouvez toutes les informations sur Tin Star lancée en 2017 : synopsys, casting complet, acteurs, scénariste, réalisateur. Découvrez des séries similaires à regarder également. 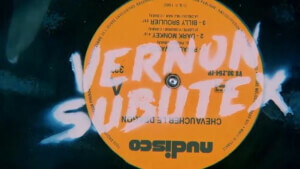 Faites vous une idée de la série grâce à la note des membres et aux critiques des internautes.